Some items stick around until sale season when the last of the sizes finally dwindle out, but others fly off shelves immediately. Kitri's Gabriella Pleated Shirt Dress ($215) definitely falls into the latter category. The London-based label's cult dress "sold out in 30 minutes during the most recent drop, and currently has a 2000 person waiting list," per a press release. Impressive, right? 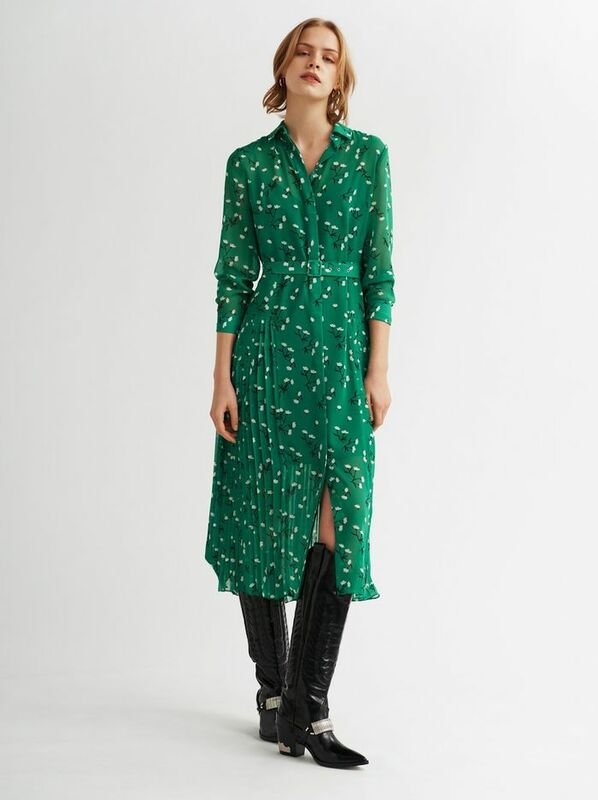 It's not hard to see why it's so popular: The pretty green color is eye-catching, while the shirtdress silhouette makes it perfect for work. And don't overlook the smaller details: The belted waist is supremely flattering, while the pleats at the hem will give it some great movement. Want to get in on the action? Scroll down to shop the newly restocked dress, as well as other pretty Kitri dresses.